Reinhard Fuchs (*1974) first studied accordion at the Brucknerkonservatorium Linz (1991-1995) and then trained as a composer with Michael Jarell (1996-2002). In 1997/98 he spent a year at the University of Miami, Florida. Further valuable impulses for his compositions derived from his studies with Brian Ferneyhough, Marco Stroppa, Magnus Lindberg, Klaus Huber and others. 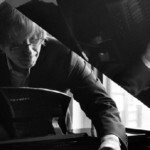 In 1997, he also founded the composers’ group “Gegenklang” together with collegues. Since 2008, Reinhard Fuchs is artistic director and general manager of PHACE. In 2014, he received the Erste-Bank-Compositions-Prize and he was one of the main composers of the festival WIEN MODERN. In 2015, the label KAIROS released a portrait CD.